Our mission is to provide a superior level of training in an educational environment where all of our clients’ needs and goals are met without compromising quality. Our vision is to inspire not only our clients, but other young fitness enthusiasts. Our goal is to not only accept short-term satisfaction of a current want, but the gratification of an improved lifestyle. This is instilled by our perfected E3 (Evaluate-Educate-Execute) method, which was created to provide accountability for both fitness professionals and clients to reach each person’s individual goals and life-changing mindsets. Our core values, REDEEM, are what we stand by here at Vendetta Fitness! RESPECT. As a company, we make it a priority to value the diversity of each client and each individual’s privacy, physical and emotional being. EXCELLENCE. We strive for excellence. Our attention to precise detail is what we are known for. Not only do we strive for excellence and perfection in training, but we also strive for excellence in building a lifelong relationship with our clients. DEPENDABILITY. Being dependable is what brings our clients back. We are trustworthy and reliable. Commitment to Vendetta Fitness demonstrates the desire for continued personal success, which our team repays with unconditional support. EFFICIENCY. We demonstrate efficiency by implementing our E3 Method. 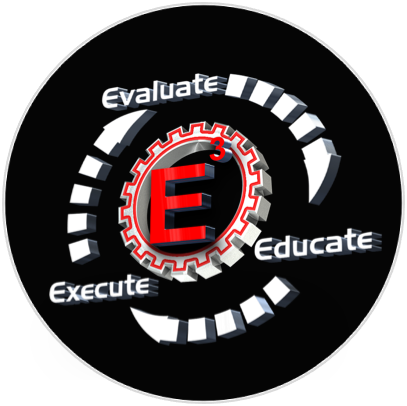 In the E3 Method, we focus on Evaluating, Educating, and Executing fitness programs tailored to each individual. EFFECTIVENESS. Because our programs are tailored to each individual, we promise you real results, mentally and physically. MOTIVATION. We motivate each client by showing them what a fitness family means. Being a fitness family means showing unwavering support through good and bad days. We aid in motivating each individual to succeed in their fitness journeys. 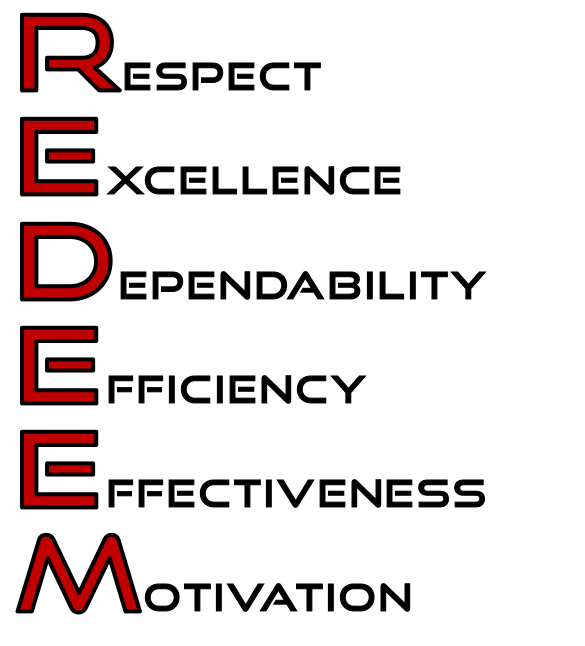 REDEEM plays a role in our Vendetta Fitness family because of the dedication and motivation each client and employee has. 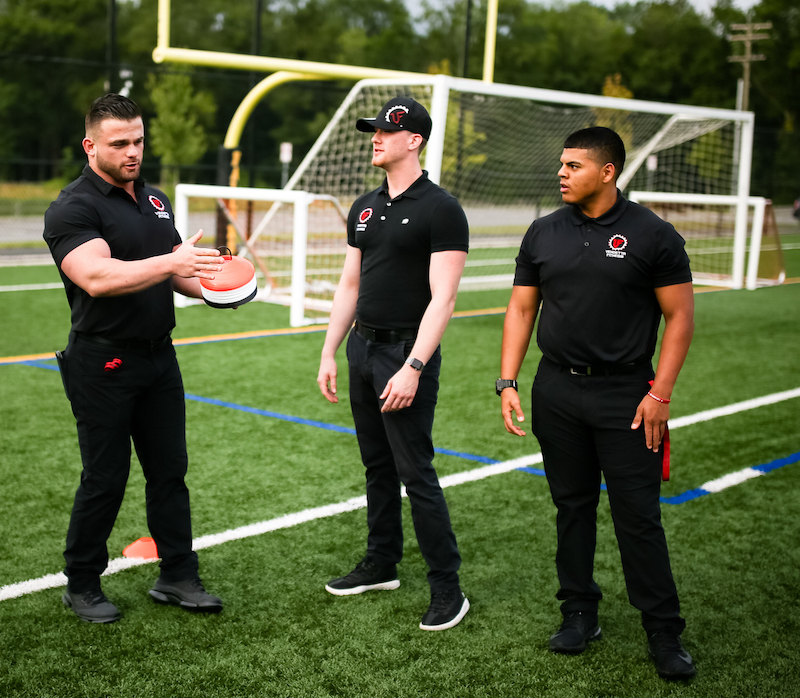 When there are times some may want to quit, they are quickly redeemed by constant positive reinforcement by our team and to be able to gain not only fitness goals, but also to gain a family as well.